Lassco Corner rounder round cornering machines were intended to take into account an assortment of cutting sizes. Effectively compatible cutting units range in size from 1/16" to 1/2". 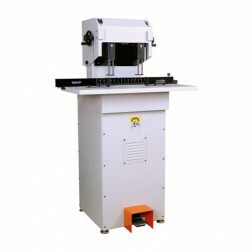 Lassco Corner rounder round cornering machines are equipped for cutting a sweep on paper, card stock, vinyl, attractive signs, plastics, and lightweight metals. Manual Corner rounder round cornering machines are accessible in work area top and floor models furthermore offer electric and pneumatic floor models too. Read More Drills are offered in a full range of sizes, beginning with there temperate seat model penetrates and going up to our 2.5" 3 shaft, pneumatic controlled drill. Empty boring tools range from 1/8" to 1/2" in width. Teflon covered drill bits, for more hard to penetrate material, for example, plastic covered paper, are accessible in a few sizes.